AUTOMATED CLOUD BACKUP AND OUTSTANDING PARENTAL CONTROLS MAKE NORTON A GREAT SOLUTION FOR FAMILIES. ALTHOUGH WE FIND ourselves a little unhappy at Symantec of late — both for the cancellation of the free version of Norton Family and the fact that Australian users are paying way more for security than US users — but the fact remains that, when it comes to family and beginner-friendly features, Norton is still on the top of the heap. What puts Norton in the lead is its elegant, simple interface, its rich feature set that includes online backup, and what is among the industry’s best parental control solutions, easily rivalling and perhaps besting dedicated solutions like Qustodio and Net Nanny. 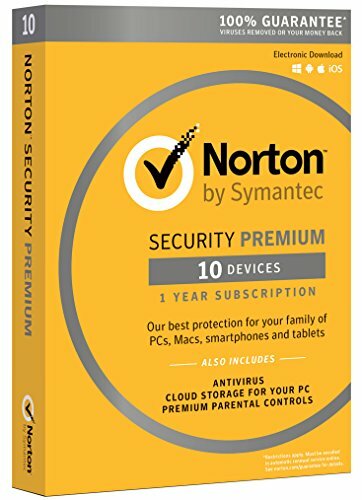 On that last point, the subscription for Security Premium includes a full sub to Norton Family Premier, a cloud-based parental control system with absolutely outstanding tools for managing and monitoring kids’ online activities. It generates reports, shows snippets of videos they’re watching, lets you limit their access times or sites they can visit and much more. You don’t have to go to their individual PCs and mobiles to set it up: all the rules are managed through a portal site. There are a lot of other things going on in the background of Norton. It managed a perfect score in AV-Test‘s benchmarks and had little impact on performance, though it did produce a few false warnings on legitimate software. There’s a ton of hidden features: banking protection, website filtering, identity protection, password management, system tuning and cleaning and more. It does all these things automatically, without making any kind of fuss about them (especially when running in silent mode), which is what makes this so great for beginners. Like many suites now, the Norton Security licence also applies to mobile devices and Macs as well. Norton is one of the few suites with a really great mobile app. Its mobile parental controls are particularly good on Android, where all the rules that you configure can still be applied — access times, site filtering, reporting and much more. Passwords stored on desktops will be taken to your mobile as well. We love the elegance of the solution overall. It does an awful lot without trumpeting any of it. Setting it up requires very little expenditure of effort, and even the online backup system intelligently figures out what to back up for you and requires virtually no setup. The perfect solution for people who just want to install and forget. 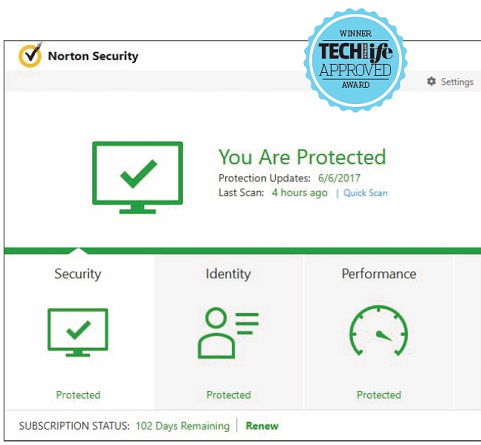 If it weren’t for Norton’s parental controls and online backup, Trend Micro might have taken the prize as our pick for beginners. We’ve had excellent experiences with it when it comes to malware cleanup (we find that Norton too often gives a ‘Get Help’ response rather than cleaning the infection), and like Norton, it does a lot in the background without making a big deal about it There’s password management, link protection, cloud drive scanning, one-click system optimisation, folder locking, social media privacy checkups, a secure browser and a whole lot more.